Breathing….we all do it, there is no other option (apart from death). It’s something that comes naturally to us, an innate behaviour. Or is it? As I was out running through the Canadian Forrest on the weekend, I was struggling for breath on one of the many hills through there. I started to think about my breathing and how it would help me get to the top. I don’t know about you but as I was growing up and before I was educated on the matter, I thought the important part of the breathing process was breathing in. You know, sucking in all that good oxygen deeply to keep us going. Well, as it turns out, scientifically its the breathing out part that is most crucial. When we breath in we take in oxygen through our lungs and heart which then goes into our blood stream (through arteries) to give our body oxygen, when it is used up it travels back as de-oxygenated blood through our veins back into our heart and lungs and we breath it out as carbon dioxide (there is more to it than that but I won’t bore you with all the anatomical detail). Now the interesting thing about this is we still breath out oxygen, there is still about 20% oxygen coming out of our mouths when we exhale (this is why we can give mouth to mouth in CPR). Its not the lack of oxygen that makes us puffed, its the build up of carbon dioxide that makes us gasp for air. So the most important phase in our breathing is to actually make sure we are forcing out the carbon dioxide on exhalation. If we are taking a big deep breathe and only shallow exhalations there will be a build up of carbon dioxide and we will fatigue a lot quicker. I also notice that a lot of people hold their breath while exercising, this has a special name called the valsalva manoeuvre (not sure of the spelling). As you can imagine this will cause fatigue at an alarming rate. Get noisy with it people, puff and pant as much as you like, your body will thank you for it. Breathing also helps us on our strength exercises. I’m always banging on about forcing your breath out on the “work phase” of the exercise. I’m sure your sick of me blurting it out mid workout!! It’s the force that helps us to lift, push or pull our body weight or equipment so that we can work harder and lift more. Examples of this are breathing out as you sit up on a sit-up, breath out as you push up on a pushup, breath out when you pull up on a rowing movement, breath out when you drive your legs up on a squat…etc. So remember to always exhale deeply if you are feeling fatigued during a workout or on your next run. It works for me and it takes your mind of the pain!! 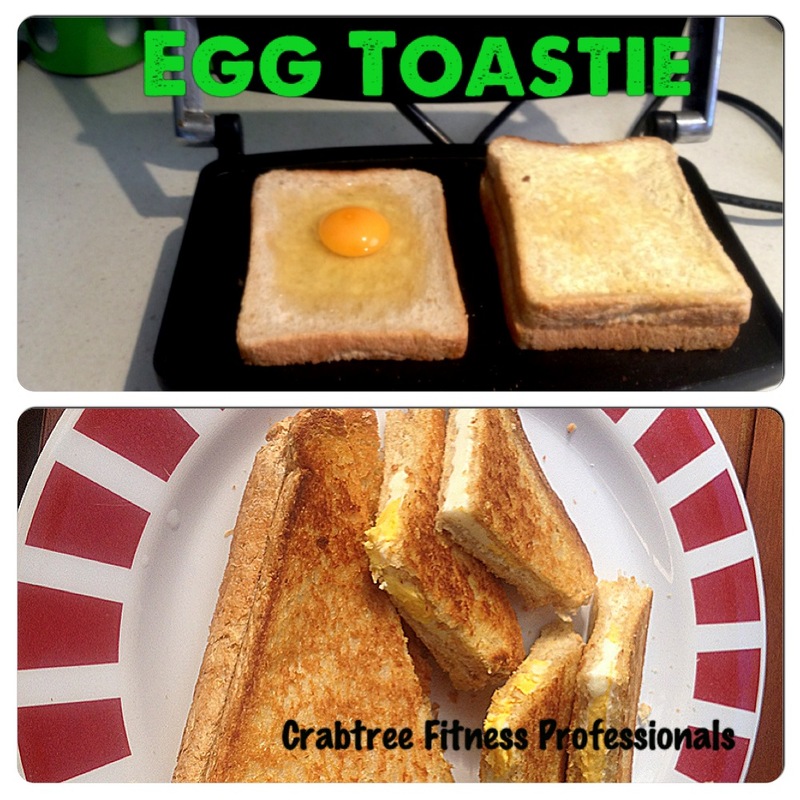 The items photographed below could be a great protein rich addition to your morning toast. And pre-prepared hard boiled eggs are a convenient way to get your protein in on the run, probably not ideal if you’re on public transport and break open an egg for that mid morning snack. I’m sure you will get the seat to yourself!! 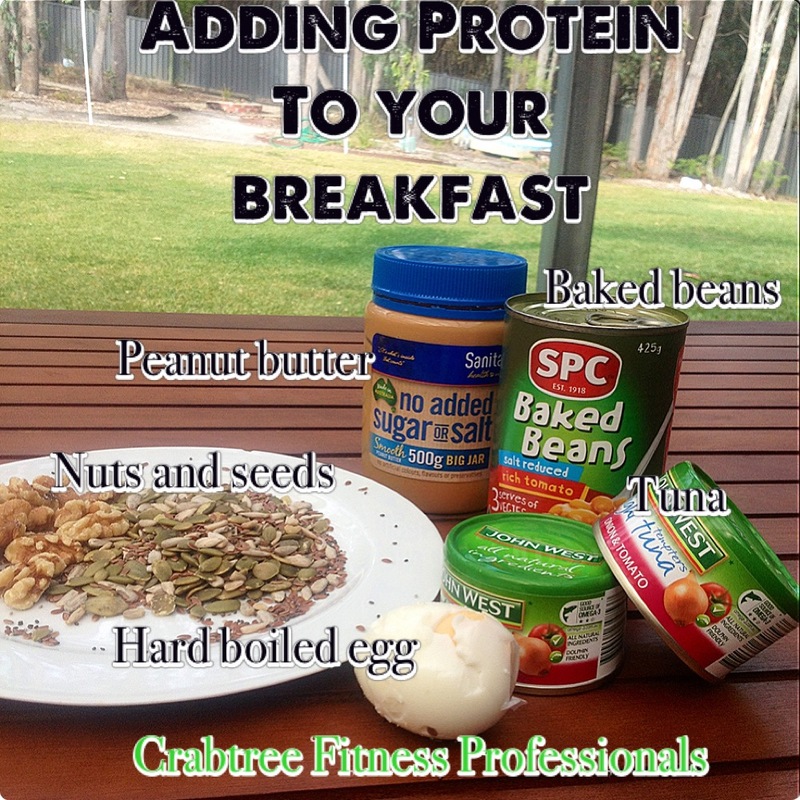 The nuts and seeds won’t go so well on toast so try adding them to your cereal.